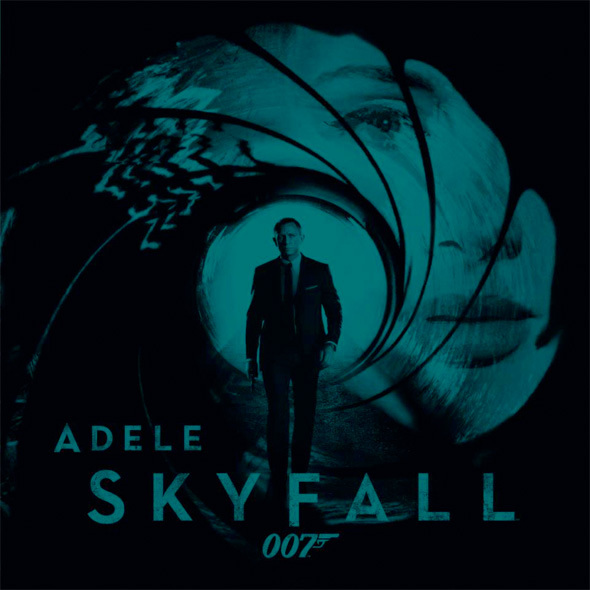 Just a couple weeks ago it was confirmed that chart-toppping, sultry voiced, British singer Adele would be behind the theme song for Sam Mendes newest James Bond film Skyfall (which is now opening a day earlier on IMAX screens in November). Well, for fans who can't wait to hear the film's theme song when it plays during the now infamous title sequences that grace every 007 film, we have good news. The James Bond Facebook page has just revealed that Adele's song, simply titled Skyfall, will debut on Global James Bond Day, Friday, October 5th at 0:07 London time. That's 7:07pm EST on October 4th for US readers. The singer said, “I was a little hesitant at first to be involved with the theme song for Skyfall. There’s a lot of instant spotlight and pressure when it comes to a Bond song. But I fell in love with the script and Paul had some great ideas for the track and it ended up being a bit of a no-brainer to do it in the end. It was also a lot of fun writing to a brief, something I’ve never done which made it exciting. When we recorded the strings, it was one of the proudest moments of my life. I’ll be back combing my hair when I’m 60 telling people I was a Bond girl back in the day, I’m sure!” We'll post Adele's song as soon as it's online this Thursday night. I heard that song plays in a Heineken commercial.